Precise planning and implant placement enables minimal invasive treatment, as well as reduced chair time. Moreover, it gives confidence to both clinician and patient and it brings surgery and restoration to a new level: The patient can be treated in one single treatment session and leave with an expertly planned temporary restoration. For this matter, 3D Guided Implant Planning is so important nowadays. Taking advantage of the huge technological advances in medicine, a 3D Guided Implant Planning Software allows us to ensure the dimensions, as well as shape and density of your maxilla and jaw bones, providing us all the measures needed to know if we are able to place a dental implant in adecuate bone structure without the invasive traditional techniques. 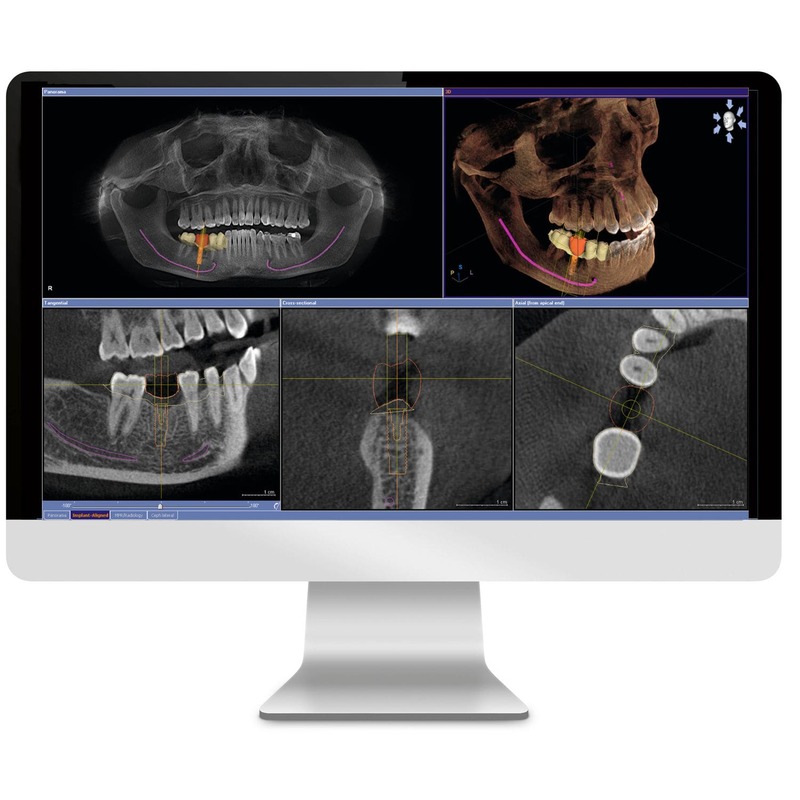 On the other end, this software also allows us to digitaly plan your implant placing by creating a digital representation of different sized dental implants in your CBCT and being able to position it in the best possible way and with the most minimum risk of failure and invasion. Blue Sky Plan is a leading, state-of-the-art, dental implant treatment planning software and is used around the world. With this advanced dental software, dentists review and analyze all considerations when determining the ideal dental implant placement. Using Blue Sky Plan, your dentist has access to many powerful tools that can be used to measure the jaw, determine the bone density, proximity to nerves, vital structures and much more. Your dentist can virtually place the dental implants into a digital version of your mouth to determine the perfect implant placement. Ideal implant placement has great looking results that last a long long time. 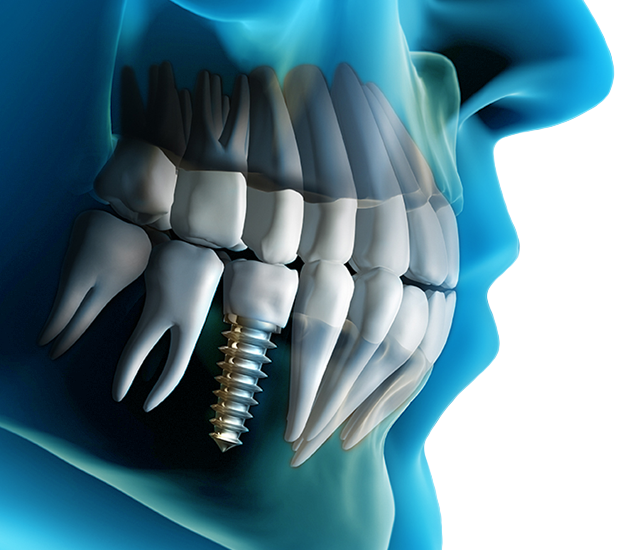 Best of all, it makes the implant placement process a short and straightforward process with the least amount of discomfort and fastest recovery times. But thats not all! Using Blue Sky Plan, and 3D printing technology, your dentist can convert the digital treatment planned on the computer to a custom template made just for you. Wearing the template during the implant placement procedure helps the dentist place the dental implants in reality, exactly as they were planned on the computer.